Drone pilots will have a little more insight into the world around them and get safety alerts through to a free smartphone app launching on Thursday called Hivemapper. The app is designed to supplement the video feed coming from the drone's camera by adding a layer of data about buildings, locations of drone launch sites, no-fly zones and user-contributed waypoints that mark interesting or scenic places to fly. At the heart of Hivemapper is the building database that the company says contains information on 20 million structures across the U.S. including their shape and height. 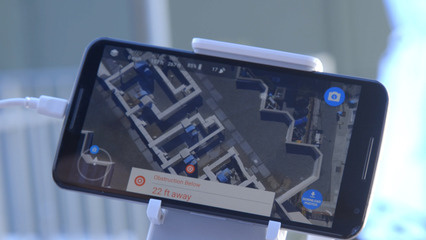 When combined with GPS and flight data from a drone, the app is able to figure out what buildings are in the vicinity and overlay that data on the video coming from the drone. "When you're flying, we have a heads-up display and we annotate all of the interesting places," said Ariel Seidman, CEO of Hivemapper, in an interview. Because it knows the dimensions of buildings and the drone's location, it also provides collision alerts if the drone gets too close. During a demonstration in San Francisco, alerts popped up on the app when the drone got within 10 meters of the top of an apartment building. That was useful because as seen from the perspective of the ground, the drone didn't appear to be above the building at all. "We'll throw up an alert and tell you 'you need to be really careful now'," said Seidman. The app also contains data on no-fly zones. These are areas, typically around airports, where law prohibits or restricts drone flight. Pilots will get a warning, but the app isn't capable of stopping flight. That can only be done by the drone's maker, said Seidman. For example, drones have GPS and the firmware could include locations where they cannot take off. A big part of Hivemapper is community involvement and the app allows users to contribute launch points, which are places suitable to launch drones, as well as waypoints -- places that provide great or interesting views. Right now the roughly 5,000 waypoints are concentrated on the San Francisco Bay Area where the software was written and tested, but that should expand once the software is used by more people. 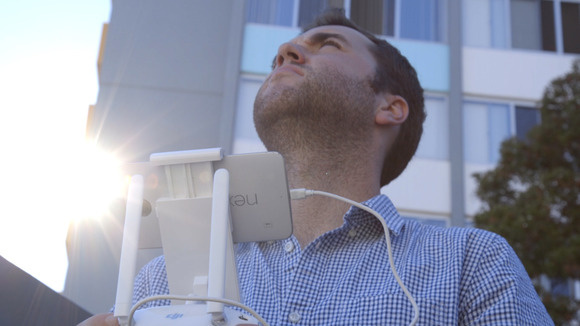 The Hivemapper app warns a drone pilot of a nearby building roof during a demonstration in San Francisco on Oct. 30, 2015. There's also a logging tool that allows users to submit information that might not be in the app or could be incorrect. For example, if drone pilots are asked to stop flying by law enforcement or harassed by anyone, these incidents can be logged. Users can also provide updates on, say, the database of airfields. Hivemapper got that data from the FAA, but it's not always up to date. Users can submit information on airports or helipads that might be missing or those that are in the database but have closed. At launch, Hivemapper is available for Android and works with most models of DJI drones. An iPhone version is coming next year.